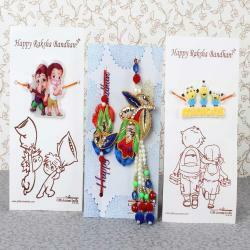 Product Consists: Family Combo of Stylish Embroidery Bhaiya Bhabhi and Mickey Cartoon Character Kids Rakhi Set nicely tied on a Designer Card. 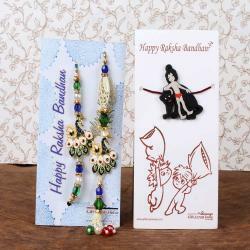 "Make the special occasion of Raksha Bandhan memorable for your loved one and gift them this amazing combo which has a very stylish Bhaiya Bhabhi Rakhi along with kids special Rakhi. 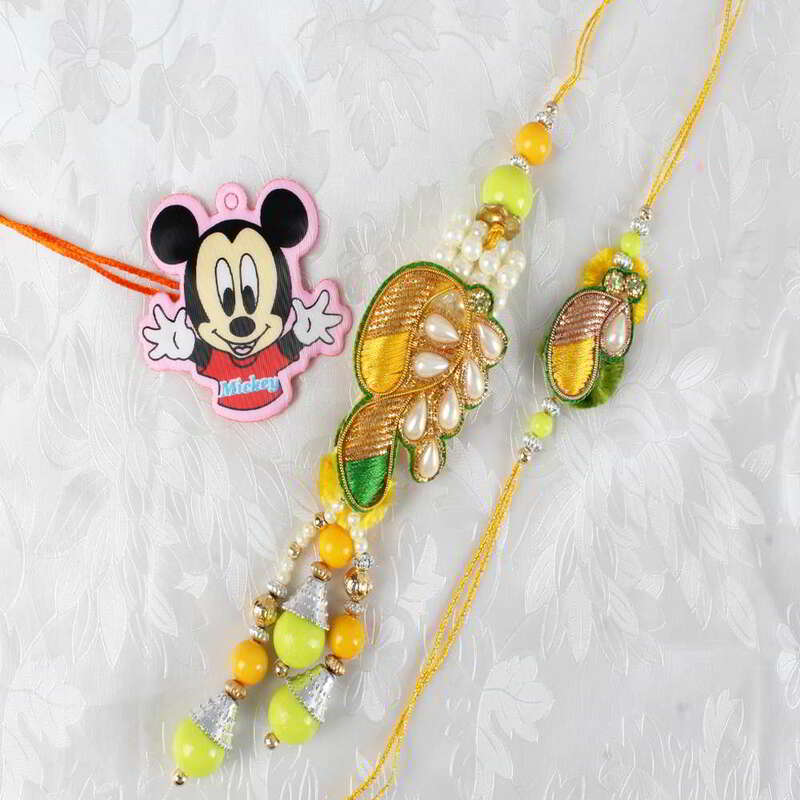 The green and yellow combination of the beads and the thread along with pearls embroidered on the Rakhi has a very catchy gaze. This beautiful colorful Rakhi when tied on the wrist of your loved one will sparkle up the aura with your love and blessings. 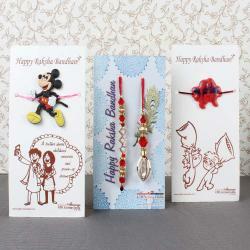 The family combo has a special surprise for a kid which is a Mickey Mouse special Rakhi to make their day. This amazing combo will capture all beautiful moments in their hearts for life. 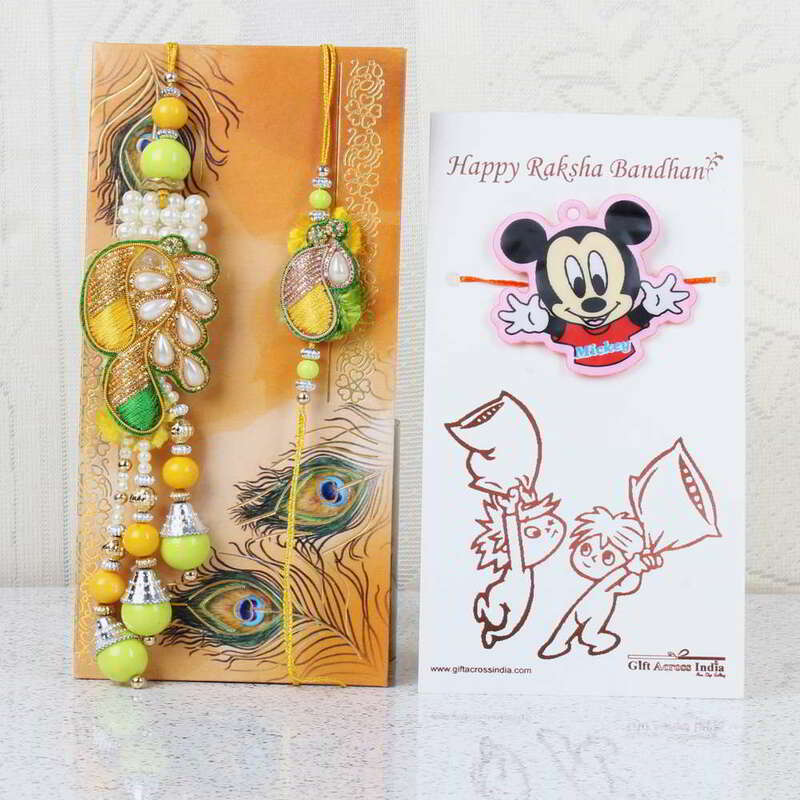 Product Consists: Family Combo of Stylish Embroidery Bhaiya Bhabhi and Mickey Cartoon Character Kids Rakhi Set nicely tied on a Designer Card. "